Departement of Vaucluse - Pop. 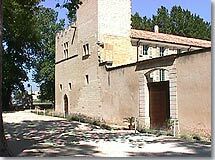 : 16,000 h.
Le Pontet borders the town of Avignon (3 km North). Le Pontet is a large industrial neighbourhood in Avignon. As you enter the village, disused factories bear witness to its prosperity in the past. In the XIXe century a large source of clay meant that refractory industries developed in the commune. Today Le Pontet hosts a range of manufacturing industries such as paper making, fertilizers or food preserving and canning. In the historic center at the old town hall place the Notre Dame du Pont chapel was built in 1312. There are a number of neighbourhoods, primarily built in the nineteen sixties. For those who like musical instruments the Museum of flutes from around the world in the chateau Croix Chabrieres makes an interesting visit. 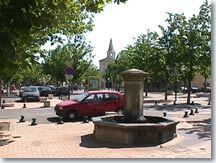 This largely modern town has few historic monuments, except the cultural center which can be found in the chateau de Fargues (XIV°). There you can find a library, exhibition spaces and theater space. There are two distinct parts to the château the oldest dates back to the XIV° century and the more recent from the XIX° century. You are sure to appreciate the internal courtyard which links the two parts. Chateau de Fargues (XIV°) school of Music. The river port on the Rhone (only one in the Vaucluse). 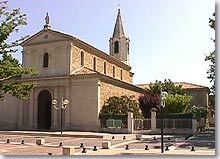 Avignon (3km),Vedène (5km), Morières les Avignon (6km), St Saturnin les Avignon (7km).